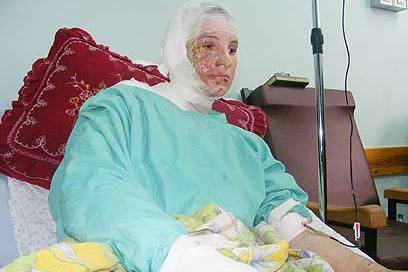 I want you to remember these pictures when you think of Israel’s use of chemical weapons every time someone parrots the talking points of the Israeli government. 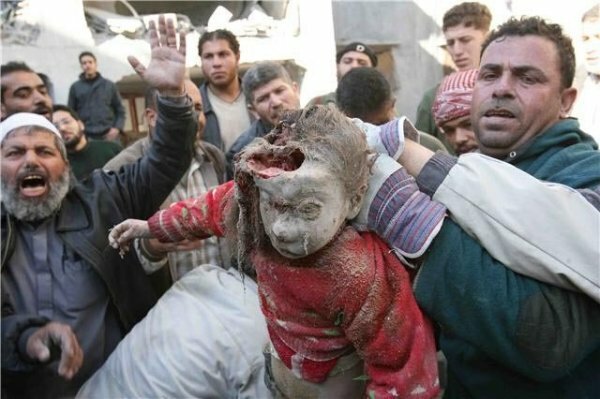 These pictures were taken in Gaza, Palestine, and these are war crimes. No this isn’t photoshopped. If this isn’t a war crime then I don’t know what is. Now – when discussing Israel’s use of chemical weapons – I have heard many justifications, excuses and obfuscations to minimize the criminal element of “Operation Cast Lead” that lasted just over 3 weeks from December 28th, 2008 to January 18th, 2009. The timing of Operation Cast Lead is important since the U.S. and the world was focused on the horror of an economic downward spiral and the hope of a new way forward … President Barack Obama was waiting for his inauguration at this point. 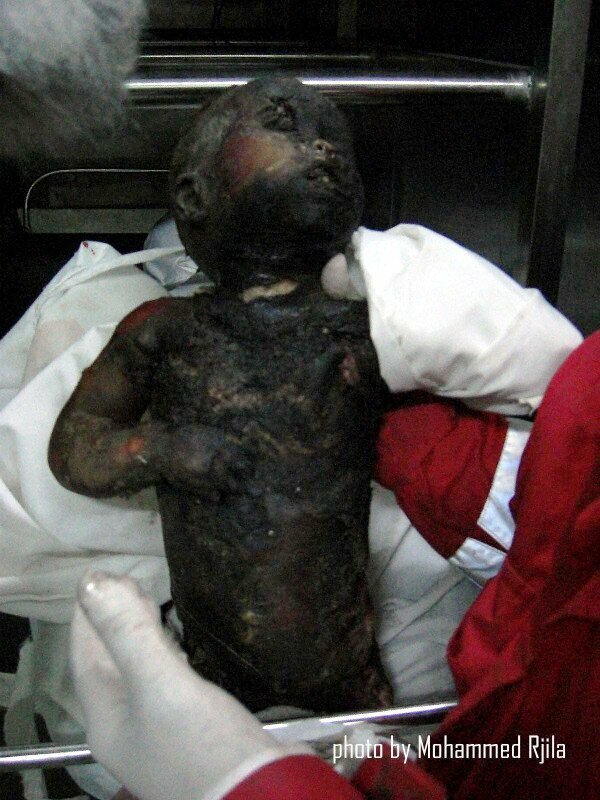 Now – many Israel advocates like to claim that this isn’t illegal and that Israel used white phosphorous (which is irrefutable and the Israeli government acknowledges) only as a smoke screen. 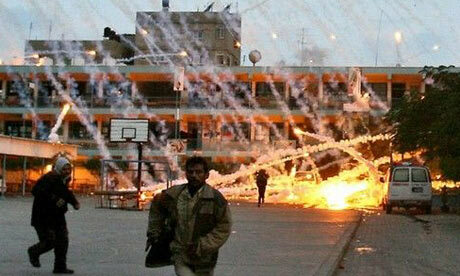 Under international law – white phosphorous may be used as a smoke screen but not on civilian populations. 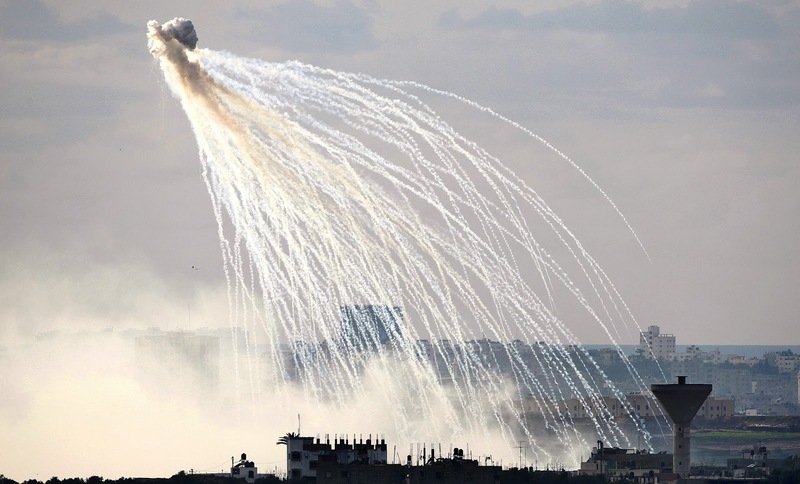 Gaza is one of the most densely populated ares in the world and Israel’s use of white phosphorous is very clearly being used over civilian areas. Operation Cast Lead resulted in between 1,166 and 1,417 Palestinian and 13 Israeli deaths; 4 of them were from friendly fire. 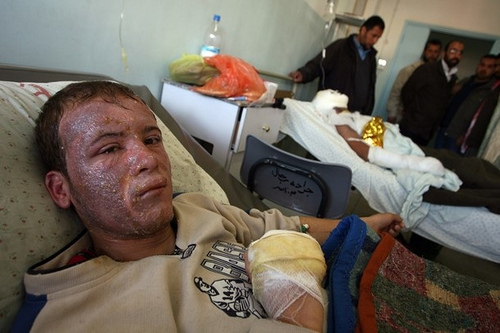 The United Nations conducted an investigation and released the now famous Goldstone report which acknowledged that Israel’s use of white phosphorous was indeed a war crime. It was after significant pressure and a couple of years later – the author retracted his report’s findings. The United Nations Human Right Council, however, still found Israel guilty of war crimes and they ordered that Israel compensate Palestinian families for the damage caused by the Israeli government. The approval of USD 85 million worth of United Nations projects remains pending. 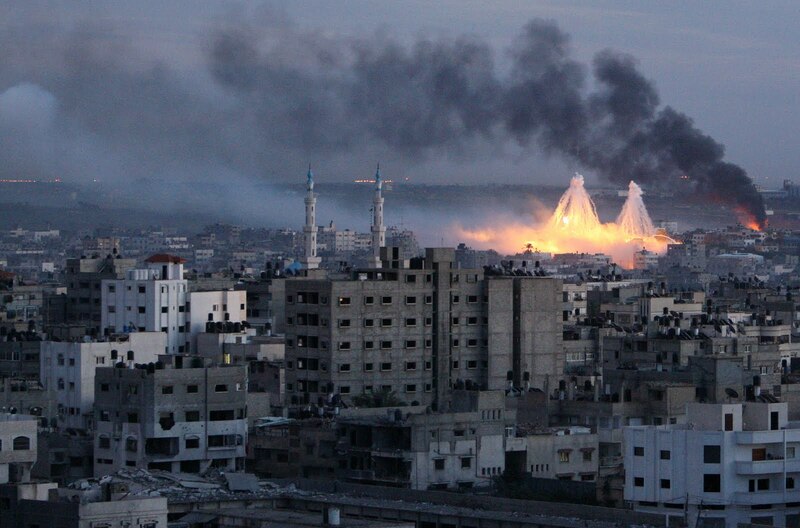 Israel recently released 20,000 tons of construction materials for Gaza’s private sector. However, the border closures and restrictions on passage through border crossings continue to seriously negatively affect the population of the Gaza Strip. 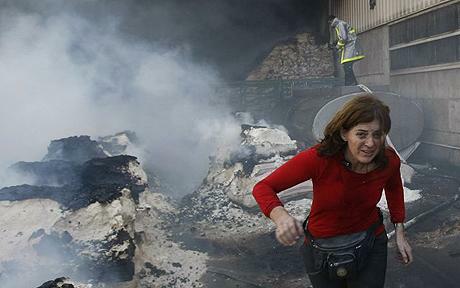 Over 75 per cent of the units needed to replace homes destroyed during Operation Cast Lead have not been constructed. Gaza’s unemployment rate remains high. This combines with the urgent demand for construction materials to reconstruct homes, schools and other infrastructure to result in thousands of people continuing to risk their lives to work in tunnels along the border with Egypt. If another country took this kind of action – the U.S. would be invading them. Not only did the U.S. not invade Israel, we give them money to continue their human rights violations and we continue to veto any resolution to hold Israel accountable on the UN security council. And we wonder why so many other countries hate the U.S. Quite simply – we live by double standards. We support democracy only if its the result we want i.e. Gaza 2006, Iran 1953, Guatemala 1954, Congo 1960, Dominican Republican 1961, South Vietnam 1963, Brazil 1964, and Chile 1973 (source) to name only a select few not including many attempted coup attempts like Venezuela 2002. 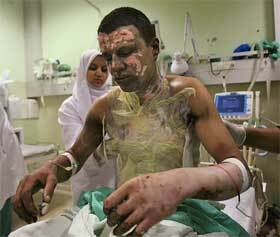 The double standard continues for the use of chemical weapons. President Obama is looking to attack Syria after an apparent chemical weapons attack although there are reports that these chemical weapons attack were in fact not committed by the Syrian government (source). President Obama claims that we must set a red line for those countries willing to utilize chemical weapons; he has however not taken the same stance with the Israeli government despite countless human rights violations. One of the most ironic elements of this entire situation is that the #1 force pushing for an attack on Syria is Israel and their lobbying arm AIPAC (source). Israel’s military has said that it will not use white phosphorous “for the time being” with two exceptions that the state attorney would not disclose in a public hearing in front of the Israeli High Court; the Israeli High Court dismissed a petition to make the use of white phosphorous illegal (source). So – the Israeli military can’t be held accountable externally because the U.S. blocks any resolutions on the UN Security Council and it won’t be held accountable internally because the Israeli High Court has prioritized the promises of the military over “right and wrong”. 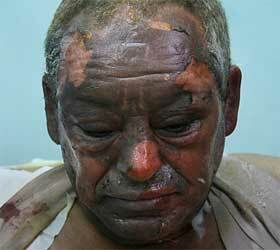 Remember these images when someone tries to make excuses for Israel’s use of chemical weapons on the Palestinian people. This entry was posted in +AAArchive, chemical weapons, Chemical weapons conspiracy, Crimes against humanity, Gaza, Israel, Israeli Crimes, Israeli Occupation Forces, Occupied Jerusalem, Occupied Palestine, Palestine, Palestinian Resistance, terrorism, US-Zionist project, USA crimes, Zionist conspiracy, Zionist entity and tagged chemical weapons, Chemical weapons conspiracy, Crimes Against Humanity, Gaza, Israel, Israeli Crimes, Israeli Defense Forces, Israeli Occupation Forces, Occupied Jerusalem, Occupied Palestine, Palestine, Palestinian cause, Terrorisme, Zionism, Zionist entity by syrianetwork. Bookmark the permalink.